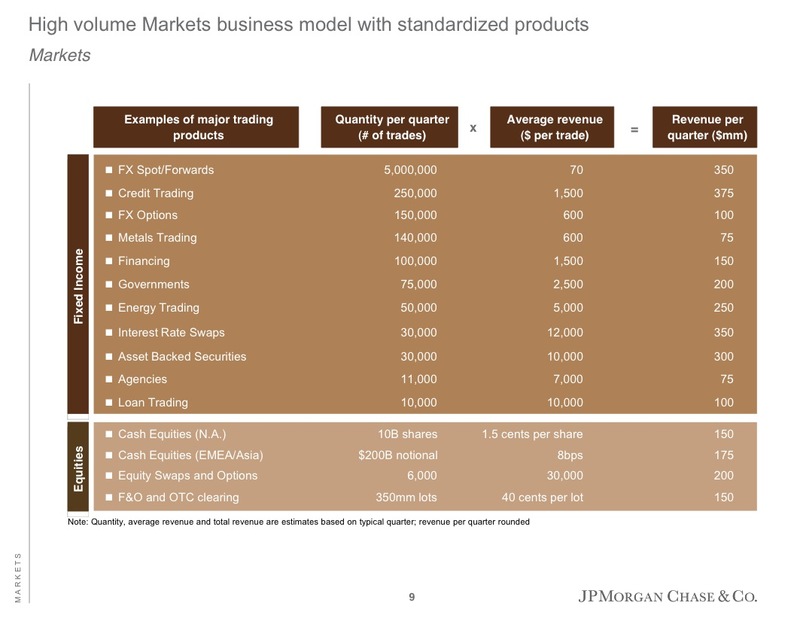 Ever wondered how much revenue JP Morgan makes by product line? Well, wonder no more! Jes Staley presented a breakdown at their investor day earlier this week. More comment here and here. Full presentation is here. Great post! The investor presentations are excellent, and lots of great slides that offer real insight into the business, and how it’s being re-positioned. Really interesting chart – profit by product line. $12,000 per IRS, nice.